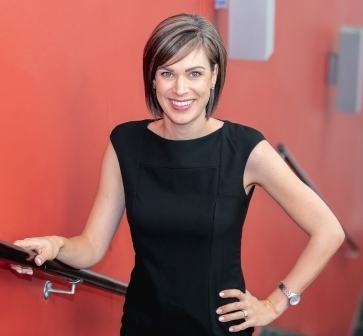 ​Marianne Matthee is a full-time faculty member at GIBS and lectures in economics. Prior to joining GIBS, she lectured at the North-West University for 12 years in both economics and international trade where she also served as the programme leader for international trade. Marianne's research focus is on the field of international trade, particularly exports. Her focus is on exporting as an economic activity of South African regions and firms. Her initial work centred on the investigation of the different elements of sub-national or regional exports. These elements included, among others, the determinants of exports and the importance of domestic transport costs, location and export composition. Throughout this work, it became evident that a deeper understanding of exports is necessary. Therefore, Marianne's subsequent research outputs focused on firm-level analyses under the broad topic of internationalisation. Marianne has collaborated on research papers with numerous international academics and holds a Y2 rating from the NRF. Mhonyera, G., Steenkamp, E.A. & Matthee, M. 2018. Evaluating South Africa's Utilisation of Sustained Export Potential in Sub-Saharan Africa. South African Journal of Economic and Management Sciences. Forthcoming. Matthee, M., Rankin, N.A., Naughtin, T. & Bezuidenhout C. 2018. Understanding manufactured exporters at the firm-level: new insights from using SARS administrative data. South African Journal of Economics, 86(S1): 96-119. Matthee, M. & Santana Gallego, M. 2017. Identifying the Determinants of South Africa's Extensive and Intensive Trade Margins: A Gravity Model Approach. SAJEMS, 20(1): 703-724. Matthee, M., E, Idsardi & Krugell, W.F. 2016. Can South Africa sustain and diversify its exports? South African Journal of Economic and Management Sciences, 19(2): 249-263. Matthee, M., Farole, T., Naughtin, T. & Rankin, N.A. 2016. South African exporters and the global crisis: intensive margin shock, extensive margin hangover. South African Journal of Economics, 84(2):183-198. Matthee, M. 2015. South Africa's export diversification options: The end of the road for traditional export markets? AfricaGrowth Agenda, 12(1): 8-13. Matthee, M., Krugell, W.F. & Mzumara, M. 2015. Microeconomic Competitiveness And Post-Conflict Reconstruction: Firm-Level Evidence From Zimbabwe. International Business and Economics Research Journal, 14(3): 525-536. Mzumara, M., Matthee, M. & Steenkamp, E. 2015. How a focused approach to export promotion can accelerate Zimbabwe's post-conflict reconstruction. AfricaGrowth Agenda, Jan/Mar: 4-7. Viviers, W., Cuyvers, L., Steenkamp, E.A., Grater, S., Matthee, M. & Krugell, W.F. 2014. Identifying new product and service export opportunities for South Africa using a decision support model. International Business and Economics Research Journal, 13(6): 1403-1418. Mzumara, M., Matthee, M. & Steenkamp, E.A. 2013. Can a New Export Promotion Strategy Revitalise Zimbabwe's Economy? Africa Insight Journal, 43(3): 63-79. Matthee, M. & Heymans, A. 2013. How South African SMEs can become better candidates for export finance. Managing Global Transitions, 11(4): 361–377. Matthee, M. & Krugell, W.F. 2012. Barriers to internationalisation: Firm-level evidence from South Africa. Studia UBB Oeconomica, 57(1):3-20. Krugell, W.F. & Matthee, M. 2012. South African firm level evidence of the links between finance and productivity. Journal of Economic and Financial Sciences. 5(1): 271-286. Naudé, W.A. & Matthee, M. 2011. The Impact of Transport Costs on New Venture Internationalization. Journal of International Entrepreneurship, 9(1):62-89. Naudé, W.A., Bosker, M. & Matthee, M. 2010. Export Specialization and Local Economic Growth in South Africa. The World Economy, 33(4): 552-572. Naudé, W.A. & Matthee, M. 2010. The location of manufacturing exporters in Africa: empirical evidence. African Development Review, 22(2): 276-291. Krugell, W.F. & Matthee, M. 2009. Measuring the Export Capability of South African regions, Development Southern Africa, 26(3): 459-476. Gries, T., Naudé, W.A. & Matthee, M. 2009. The Optimal Distance to Port for Exporting Firms. Journal of Regional Science, 49(3): 513-528. Matthee, M. & Naudé, W.A. 2008. Determinants of Regional Manufactured Exports from a Developing Country. International Regional Science Review, 31(4): 343-358. Krugell, W.F. & Matthee, M. 2008. Measuring the inward FDI potential of South African cities and towns. Acta Commercii, 8: 160-180. Matthee, M., Naudé, W.A. & Viviers, W. 2006. Challenges for Developing Country Suppliers in Global Floriculture Chains: A South African Perspective. Development Southern Africa, 23(4): 511-528. Naudé, W.A., Krugell, W.F. & Matthee, M. 2010. Globalization and Local Economic Growth in South Africa, 1994 to 2001. (In Dallago, B. & Guglielmetti, C ed. Local Economies and Global Competitiveness. Volume 1. Palgrave Macmillan, Chapter 2, pp. 45-74). Cronjé, E., Matthee, M. & Krugell, W.F. 2009. Trade and transport costs: The role of dry ports in South Africa. (In Transport and Communications Bulletin for Asia and the Pacific, The Development of Dry Ports, United Nations Economic and Social Commission for Asia and the Pacific, no. 78, pp. 161-173). Matthee, M. and Krugell, W.F. 2018. Driving more inclusive growth through targeted investment: The location attractiveness index. Alexander Forbes Benefits Barometer. Forthcoming. Matthee, M., Rankin, N.A, Bezuidenhout C. 2017. Labour demand and the distribution of wages in South African manufacturing exporters. UNU-WIDER Working Paper 2017/11. Matthee, M., Rankin, N.A., Naughtin, T. & Bezuidenhout C. 2016. The South African Manufacturing Exporter Story. UNU-WIDER Working Paper 2016/38. Naudé, W.A. & Matthee, M. 2012. Do Export Costs Matter in Determining Whether, When, and How Much African Firms Export? JICA Research Institute Working Paper No. 38. Matthee, M. & Krugell, W.F. 2011. Barriers to internationalisation: Firm-level evidence from South Africa. Maastricht School of Management Working Paper No 2011/09. Naudé, W.A. & Matthee, M. 2007. The Geographical Location of Manufacturing Exporters in South Africa. UNU-WIDER Research Paper RP2007/09. Matthee, M. & Naudé, W.A. 2007. The Determinants of Regional Manufactured Exports from a Developing Country. UNU-WIDER Research Paper RP2007/10. Consults in the areas of economics and international trade. Second Runner-up in the Distinguished Young Woman Researcher category (Humanities and Social Sciences division) at the Department of Science and Technology's South African Women in Science Awards in 2016. Co-author of best research paper on a WTO-related topic in 2016 in the TRADE research entity at the North-West University (Matthee, M., Farole, T., Naughtin, T. & Rankin, N.A. 2016. South African exporters and the global crisis: intensive margin shock, extensive margin hangover. South African Journal of Economics, 84(2):183-198).